The range of abilities and disabilities, characteristics, interests and achievements among people with Down syndrome vary widely, as with everyone. With access to informed and effective health care, individuals with Down syndrome can now expect to live to 50-60 years of age. Down syndrome is the most common cause of developmental disability. About 1 in 700 babies born in Victoria will have Down Syndrome. The most common cause of Down syndrome is when an infant is born with three, rather than two, copies of chromosome 21 (trisomy 21). Chromosomes are the structures that contain the genetic information that we need to grow and develop normally. 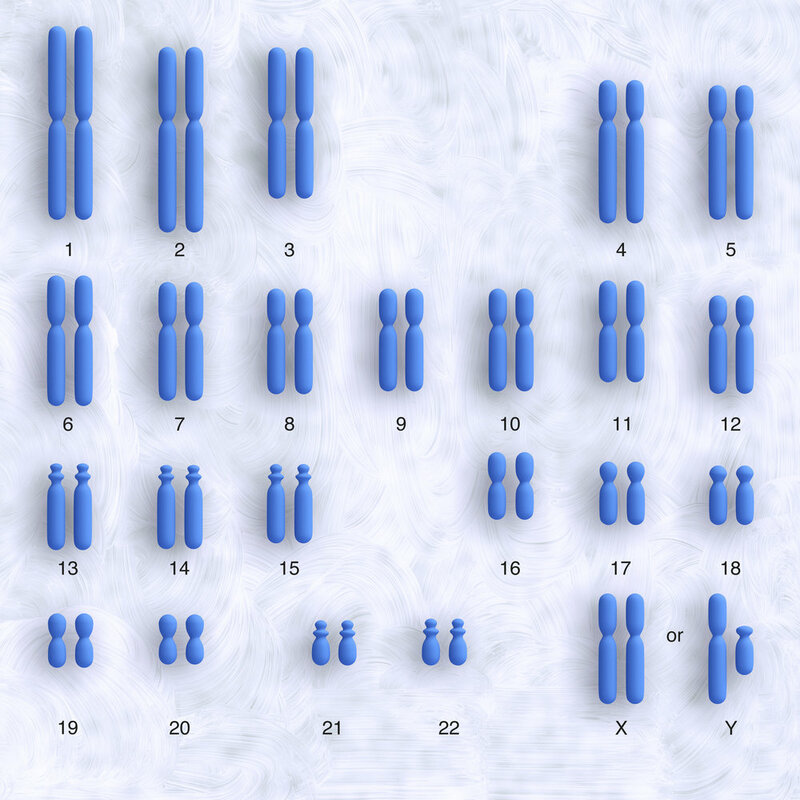 Each cell of our body contains 23 pairs, so 46 chromosomes, half of which are inherited from each parent. Children with Down syndrome, however, have cells that usually contain not 46, but 47 chromosomes, the extra one being a third chromosome 21. It is this extra genetic material in infants with Down syndrome that disrupts their physical and cognitive development. Babies with Down syndrome are born at the same rate into families from all social, economic and racial backgrounds, and to parents of all ages. It is however known that the risk of giving birth to a child with Down syndrome increases with the age of the mother.